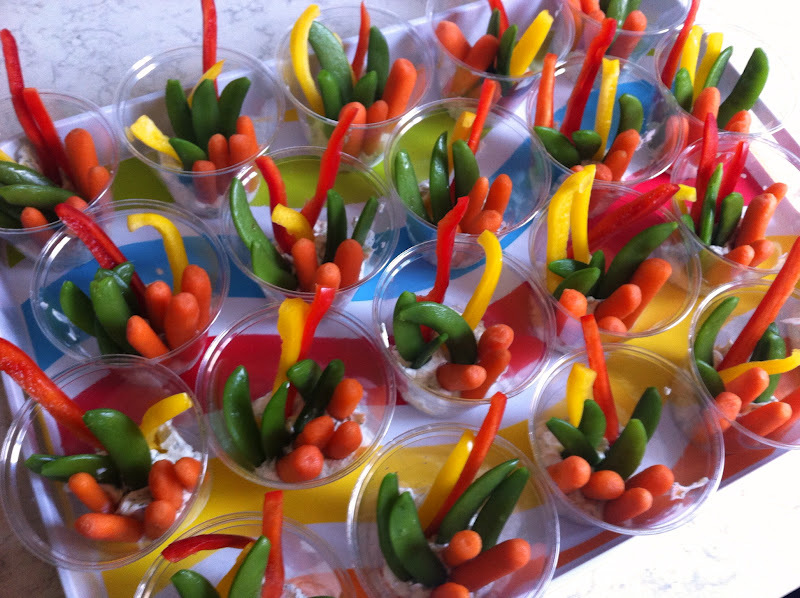 This weekend we had a work party (matt's, not mine) that needed a snack or appetizer and I immediately thought of these veggie cups. They are all over Pinterest, so I don't have a link, but you get the idea...dip on the bottom, veggies on top, all in a little cup making them easy party food. I used peppers, sugar snap peas, and carrots for the veggies and played around with a tarragon dip recipe until I think I got it pretty close to a restaurant version that I love! I used dried tarragon (because that is what I had), but you should use fresh if you can. 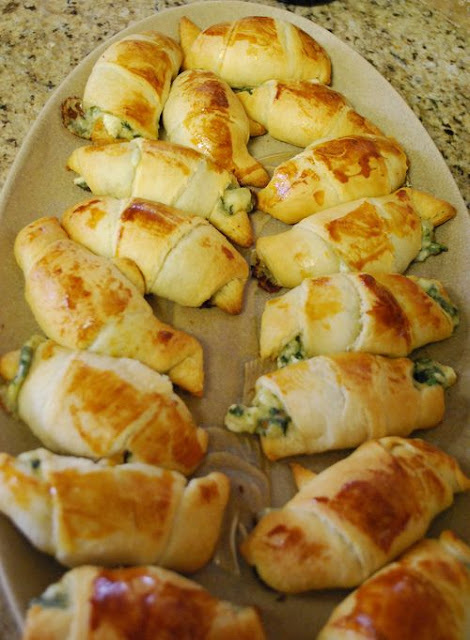 I also made these Spinach Crescent Rolls this weekend. They were going to be an appetizer at a party, but plans changed and so they became our dinner instead. I somehow got things screwed up in mind and in doubling the recipe, I did not double all of the recipe. So...they were not done right, but they were still really yummy! 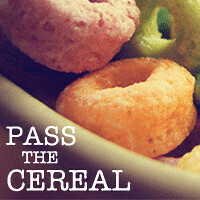 I will definitely make these again for our family or for a party. Yum! Those crescents sure look yummy...maybe Christmas would be a good time to share them. I'm not against trying to make the crescent rolls even better, but I thought it was good as is. Must not have been too major. Both look great! Had to laugh that you had a little challenge doubling an entire recipe this weekend since I messed up halving a recipe :-) Great minds, I tell ya!